I’m just an ordinary gal from Nova Scotia, Canada. However, I’ve been living in the United States for over 20 years now. (I met a guy … you know how it goes.) Here I am with my true love, Jon Myrmel. My deepest passions are animals and their welfare, my family, nature, reading, philosophy, psychology, and other ‘stuff’. By stuff, I really mean that I have a wide array of interests and especially enjoy things that include non-traditional ways of thinking. I am a deep thinker and have been since I was a very young girl. I question what people think is ‘the norm’ and have a tendency to analyze things on a deeper, even spiritual, level. Philosophy and Quantum Physics intrigue me. One might consider me a loner and an introvert. I’m okay with that and would be comfortable living as a recluse or a hermit. As an adult, I have always had animals surrounding me. Animals seem to find me when they are sick or dying. They just do. I have adopted, rescued, cured, lost, and buried the best of them. My animal family has included 13 Alpine Goats, 40 Chickens, 20 Turkeys, 3 Vietnamese Pot Bellied Pigs, a number of Turtles, 2 Raccoons, 1 Opossum (yes, even a Possum), countless Cats and 2 very special Dogs, and a Bearded Dragon named Shirley. Oh, and I love animals. Did I already say that? Thank you for taking the time to read this and do hope you’re enjoying my blog. Please support me by commenting on some articles and sharing them on social media. If you would like to leave me a comment or some feedback, I would love that and will respond. Jeanne, I finished the article about binoculars/spotting scopes for you, I’m not sure if you got my email though because it’s been acting up lately. Anyways, the article is attached to that email. Need some help. I got a bearded dragon a 4 weeks ago, and the first few weeks she was doing great. Eating crickets, moving, basking etc. The last few days, she lost her apetite, and hasn’t move lots, also her skin has become darker. Joe, It’s difficult for me to say from here. Do you have adequate lighting for her for a certain length of day? Does she get water? (I have to give my Shirley her water with an eye-dropper. Otherwise, she won’t drink it.) Does she look like she might start shedding? They slow down a bit as far as appetite goes. Are you able to take your outside into the sun for 15 minutes or so (preferably daily)? If you do that I can almost guarantee she’ll brighten up in color. Is she getting calcium to prevent crippling bone deformity? Is she young? old? A neglected rescue? So many factors here. If she loses weight, I’d recommend finding a vet that works with reptiles. Good luck to you. I hope your girl picks up. I don’t know why I never found this before, but I am glad I did now. You’ve always come across as someone I like even though I don’t know you. I knew you loved animals as I do. I found it interesting describing yourself as a deep thinker, a loner, an introvert, and could be a recluse. That’s me. Totally. People have always put me down for it, but that’s their problem, not mine. Thank you, Ann. I will go visit your Facebook page and keep you in mind. Thanks for stopping by! Thanks so much! 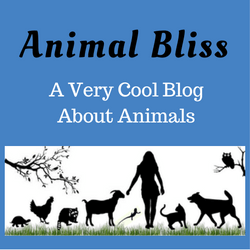 I stopped by your blog and read the article on Pompeii and the animals there. I’ve always been curious about Pompeii. I love your blog! All the best. Happy to connect with you on LInkedIn and saw you are a blogger, looked you up and here I am. I love your philosophy on life and totally understand your passion for animals. I have 7 dogs and restrain myself from getting more, lol. I will be back to visit and read more. Jeanne, your story is very touching! I rescued 4 dogs, and buried all but 1. I am fond of all of them, and especially of the time I got to spend with them, bless their sweet mutt hearts! Oh, thank you, Kate. You’re very kind to say all those nice things. Thanks for the rescuing you’ve done too. They really, really need people like us. I love hearing others’ stories about rescue, especially the ones with the happy endings. 🙂 I appreciate you taking the time to read my About Me page too. 🙂 Don’t be stranger! I can’t even describe how much I LOVE your Facebook posts. I made sure to get notifications every time you post anything. SO many of your posts make me smile inside and out or even bring tears to my eyes because they touch my heart so much. I share them with my husband when he comes home from work because he loves ALL animals as much as I do. Our favorite dates and our favorite travels involve one kind of animal or another as much as possible. We feed a variety of wildlife in our yard all year around and take photos of them every time we get a chance too. We raised our 5 kids (2 boys 3 girls who are all adults on their own now) to love and care about animals as much as we do. When they were growing up (homeschooled them more years than not.) we/they had various pets over the years, dogs, cats, a garter snake, a toad in a vivarium with deep soil for him to bury himself in etc, a walking stick and two different praying mantises (separately). The kids and us also rescued countless ferile kittens. The kids would find them and bring them in house to bathe them bc they would always be filthy. Then wrap them in baby blankets I collected from yard sales and they would stand downtown by stores with them until they convinced people to adopt them to save them from life on streets even in middle of winter. They found an injured brown bat who couldn’t fly, had been attacked by cats. So brought him in house and we took care of him for 24 hours until I could find a professional bat rehab. We rescued 2 newborn birds who we made 100% sure were abandoned before taking them, eyes were still closed and were bald. Had to feed every 2 hrs day and night YAWNNNN! lol Had one for 3 days and one for a week (2 separate times) until found professional rehab for them. Everytime we rescued wild animal the people who would give us pro rehab contact #s would warn me that in MI it’s against the law for me to take in a wild animal. I told them that I would accept any fine or punishment if I HAD to to get them safely to rehab because I was NOT going to leave them outside to die in meantime. They never fined me after all. Son rescued an injured honeybee that couldn’t fly.. The kids brought him nectar flowers and a sponge of sugar water and he would sit in their bare hands and eat. After a week he could fly again so they released him. These days my husband and I just feed wildlife in our yard and live with our Oriental Shorthair cat and Cockatiel and spoil our 3 granddoggies too. My husband and I are admittedly OBSESSED with animals and never tire of seeing them or hearing about them. Yvonne, Wow! What a great comment you left! I’m glad to hear of all your experiences with animals. So awesome. You sound a lot like my boyfriend and I. It’s cool that you’re in Michigan. We are too! We’re 1/2 between Muskegon and Ludington. Right now we’re feeding a female Coopers Hawk and a Male Groshawk. Jon has a platform out back where he places roadkill for them. It’s wonderful to watch them come in and feed everyday. It’s been such a rough winter for the birds. We have tons of regular wild birds too, so this help to keep the hawks away from them. 🙂 Thanks for making yourself known to me. Don’t be stranger, ok? Let me know when you’re around — here or on my Facebook page. Peace! I am an animal lover too. Good for you rescuing all of the ones you have! Ahh animals are the light in my life. I am one who prefer animals to most humans. I have done TNR well over 20 years and feed a colonoy of cats. I would have a zoo if I could. Thank you, Joy. I appreciate you taking the time to read it. Take care! Thank you, Kayle. They’re my passion. Come back soon, now. I used to volunteer at the Human Society, it is very fulfilling working with animals, I can see why you have had so many different pets. Have you ever considered going into veterinary medicine? Hello! I could never volunteer at a Humane Society. My house just wouldn’t be big enough for all those forlorn faces looking up at me. But I so admire you for doing that. Bless you. I have often thought about veterinary medicine but I’m not smart enough. lol I have dreamed of working with wild animals in some fashion. Maybe I’ll get to do that yet. Who knows? Thanks for your comment! You post some really cute stuff on Facebook. My favorite recently was that bird that danced to the Ray Charles song. It’s one of my favorite song from the Blues Brothers soundtrack. Thanks, Jayne. Yes, that parrot is the coolest things. The way he’d shake it head is so funny. Isn’t it strange, how they seem to like music and dance? Anyway, I’m really glad my Facebook page led you here. Come back soon, ya hear? Interesting, Kathleen. It seems we do have a lot in common. I’m glad you’re enjoying my posts on your timeline. Yes, you being raised in Vermont on a farm certainly does tell me a lot. It’s cool your favorite pet was a bat. Do you have pictures and a story to tell? I’ve been living in Michigan (cold here too) for the past 25-ish years. I’m originally from Nova Scotia, Canada. I’m 58 and am tired of the cold too, and we’ve talked about moving to W.Virginia. How do you like that for commonality? 🙂 I hope you’ll visit my blog again soon. Take care! Thanks for the reply. I had to say we do seem to have a lot in common. My Beautiful “Teddy Bear” bat was so cute:) My Dad took it away from me as he was worried about disease . Not sure what he did, I only hope he let him go. I cried real bad, I also road a calf, and my Dad made me a halter, I rode my calf down the dirt road and visited other farms. They remembered it for years!! When my Dad and Grandfather could not handle farming anymore because of their backs, they had an auction and I cred my heart out.. The calf was now a Heifer , and my Dad let me keep another baby calf, but it was not the same…..There are so many good memories that they are close to my heart forever. My Dad passed 3 years ago and I feel lost. We had a family Christmas Tree Farm and it was huge and fun.. I painted the shed candy cane, and put Santa faced on the tree’s leading up the dirt windy road..Memories……. Great. Thanks you, Kathleen. Checking it out now. Animals make everything better. (: happy to subscribe!! Hey, blogger buddy! 🙂 I’m glad you like my About page. I appreciate you. Awesome! I hope you enjoy reading my posts, Susan. I write about quite an assortment of animals. If you have thoughts or ideas about what you would like to read about, don’t hesitate to tell me. Peace! Thank you, Molly! I’m glad you stopped by! What a great blog. Thank you so much for hosting. Thanks, Michelle! I’m glad you are enjoying my blog. Peace! Major animal lover here. This is an awesome blog! Thank you, Lora! I hope you’ll be a regular reader! Thank you very much, Bogdan. All the best to you as well. Great Blog! Thanks for sharing 🙂 Happy New Year! Thank you, Judy! I appreciate your comment. Happy New Year to you as well! Peace! I found you using Google Search from our Cast Off FB page. I came from a giveaway, but will come back because of content. I do rescue & am a wildlife rehabber, but mostly focus on dogs & cats. I so enjoyed the Beagle video because I just rescued 2 abused & abandoned Beagles. The female is a puppy & what a pistol! Just wanted to say hi & send some love to another animal person. 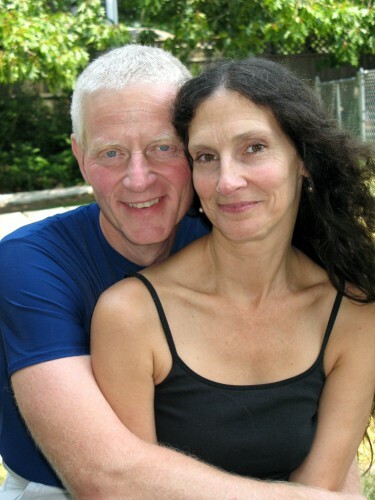 great to know you are Canadian… and most of all, very happy that you met the “guy” of your dreams.. living life with a loving life companion is GRAND..